i love Austin so much. 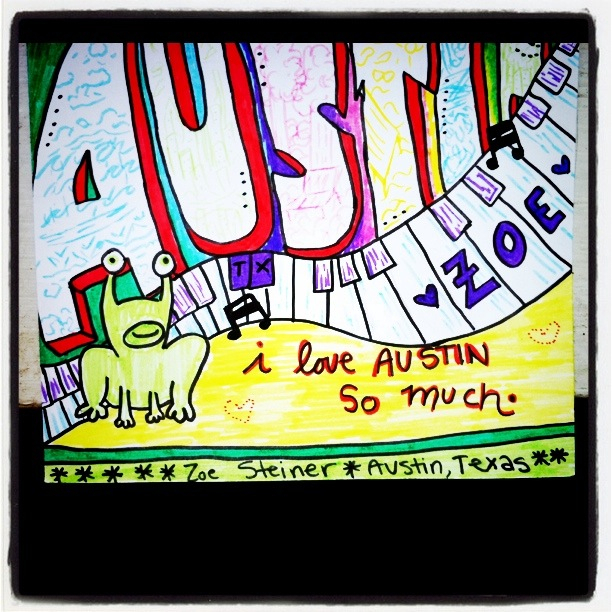 Thank you, Zoe, for sharing with us why you love Austin… your postcard is awesome! Stay tuned, I have a lot more postcards to post. If you’d like to share with us why you love Austin, please pick up a postcard (you can find one around town or print one off here), fill it out and send it in!